A sea of crystal purity and golden sands inspiring thousands of holiday makers each year to come in search of relaxation and evening entertainment along the Black sea coast of Bulgaria. This small hotel is for those who appreciate this little recess of paradise situated in Aheloy only 5 km away from the ancient UNESCO town of Nessebur and the renowned resort of Sunny Beach . The hotel is located on the wide sandy beach in Obzor. After overhaul modern 3 * hotel offers a level of service that satisfies even the most demanding customers. This Hotel is a new, modern, four-star hotel opened on 01.06.2007. Stands out with its style, elegance and unusual interior. Situated in the center of Kiten, near the sand dunes, only 150 meters from the beach. Subscriberd, Please check your mailbox !! 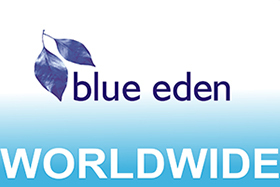 Blue eden was the first British Real estate company operating in Sunny Beach Bulgaria. Our portfolio of properties consists of the leading developers in Bulgaria, therefore ensuring that your ideal holiday apartment is also an investment for your future. Blue eden prides itself in giving our customers a professional, thorough and honest service, ensuring that all our services are up to date with all the legalities of buying an apartment.